This is the main window of the "More Info" tab. 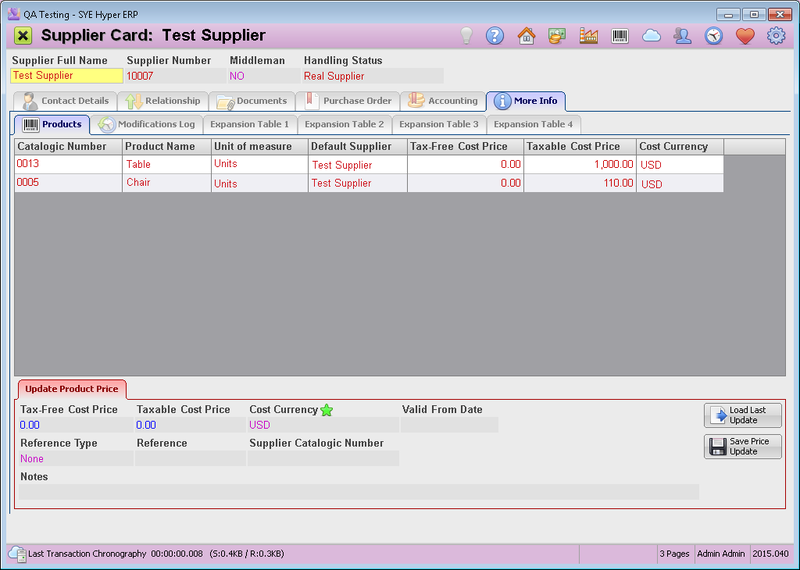 The table includes all of the products that were related to this supplier (as defined in the product card). This table includes all of the products that can be provided by this supplier. Each row presents a product and its details. Additional information fields can be added to this table, according to the needs of the user. The "Default Supplier" field displays the name of this product default supplier (in case that there are more than one supplier that can supply this product). 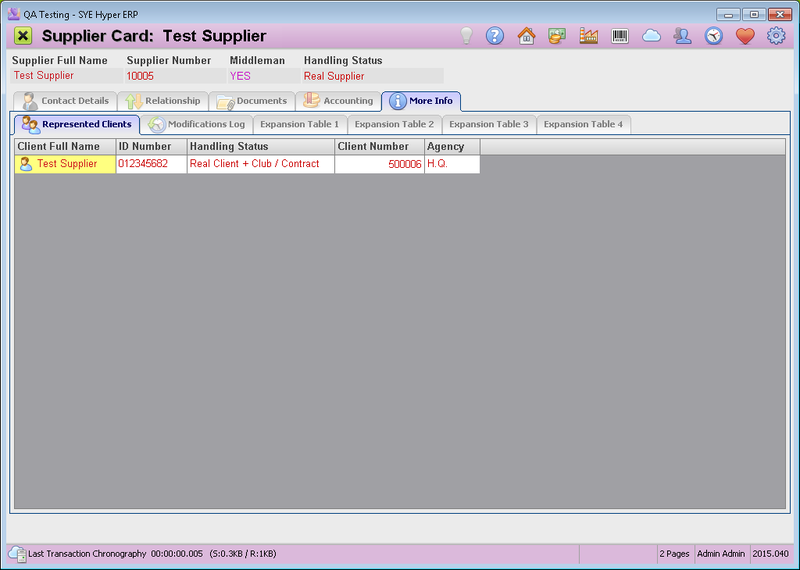 In order to define the default supplier of a product, open the "Suppliers" tab of the product card, choose the required supplier from the list and click the Set as Default button. In these fields, the user can update the price of the selected product. In order to see the current price of a product, click on the required product record and press the Load Last Update button. When choosing a product of a different supplier, these fields will display the prices of the current supplier. Open the "Product Design Module" and go then open the required product card. Go to the "Suppliers" tab and choose the required supplier in the table. Alternatively add it to the table, by choosing the "Supplier Name" from the suggested list in this field. Fill in the Price fields as well as the "Valid from date" and "Currency" fields. Press the Set as Default button and then Save. For a Middleman supplier, this tab will present all of his related Clients. Double click on a client to open his Hyper card.